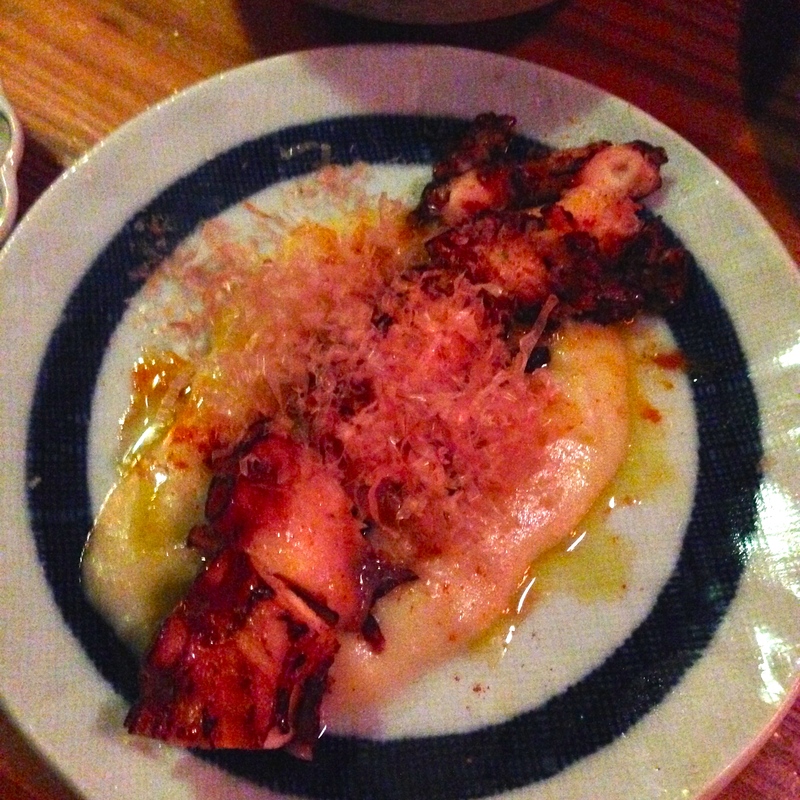 Daikaya Izakaya Restaurant – eating my way through Charm City! This post is way over due. I am not sure why. Maybe it is my self-conscience trying to get me to go back. This place is fun. It’s is actually two places; divided into separate restaurant spaces with different menus. , Daikaya is the ramen shop on the first floor. We went to Izakaya is upstairs. They present a freestyle and adaptive cuisine with small plates making sharing and tasting everything super easy. First off, sit at the bar. The bartenders are entertaining and know just about everything there is to know about the menu and the drinks. We were lucky to spend our evening with Jamie. He is one of the reasons we went to this particular spot. My friend trusted him to make most of our menu choices – which included some of my drinks. We had so much. Probably everything. You can’t tell, but the plates couldn’t fit in the picture. We had a few of the pork and miso onigiri (stuffed rice balls). They were a little intimidating, until I learned you eat it just like a sandwich. We had the “beef and broccoli” skewer made of a super tender tenderloin with a slightly sweet yakatori sauce. We had chicken wings – also super good. And those weren’t even the standouts of the evening. I loved the crab coquettes – little balls of crabby goodness with a hint of old bay and corn. They were in that little bowl, half of them gone before I could even snap the picture. Better yet, was the pork and brussels. These were also on skewers and grilled to perfection. How they keep the pork belly tender and the brussels sprouts crispy is beyond me. Go there, get that. This entry was posted in Detour, Dinner, Hooray!!! Winner!. Bookmark the permalink.